This is another sundal for navaratri – pachai payaru sundal. Pachai Payaru is also called Paasi Payaru. It is the whole green gram. All whole lentils are healthier because of the husk in them. 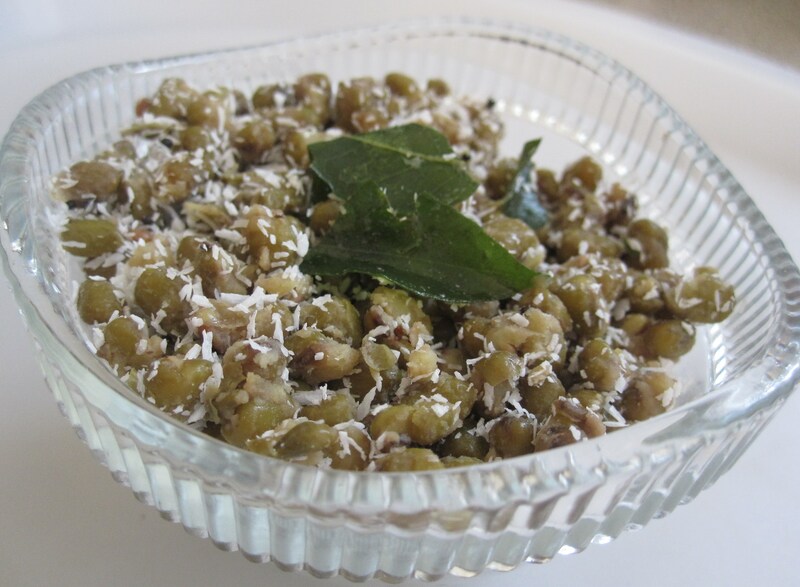 This pachai payaru or green gram is very versatile too. Apart from the simple seasoned dal to go with rice or chappatis, various other dishes can be made out of this payaru. 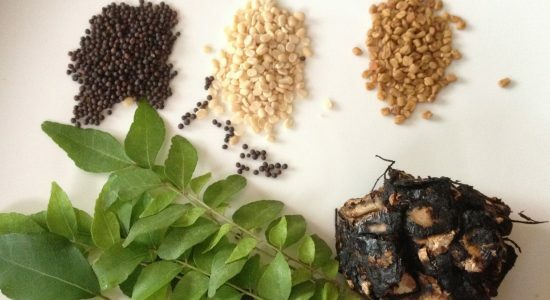 Pachai payaru payasam or sweet pudding and dry curry in combination with other vegetables (https://dosaikal.com/2011/08/04/beans-pachai-payaru-thuvaran-beans-and-green-gram-dry-curry/) are a few delicacies. Mulai vitta payaru or sprouted green gram with other salad vegetables is a tasty, crispy and healthy option for hunger cravings. Sometimes, we used to have this sundal with sugar or jaggery sprinkled on top. It would have the mixed flavour of chillies and jaggery.